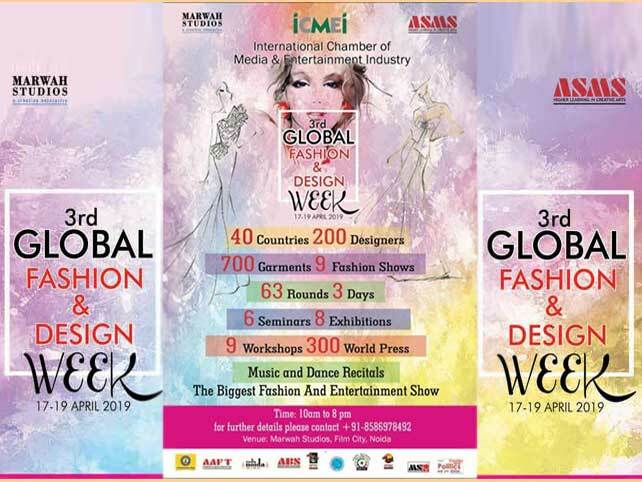 Noida: In a general board meeting of International Film And Television Club of Marwah Studios it was decided to have the third edition of Global Fashion And Design Week Noida 2019 from 17th to 19th April at Marwah Studios premises. 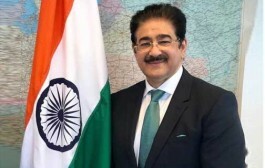 The arrangements have been in the process and a team of 300 people been involved in organizing this great gala international event under the leadership of Dr. Sandeep Marwah, President of the festival who has been already titled as Global Cultural Minister. Around 40 countries, 200 designers, 700 garments representing different countries, 6 seminars, 8 exhibitions including paintings, jewelers, furniture etc. will be presented. 9 workshops have been planned by known designers who will conduct workshops on makeup, marketing skills, body paint etc. 6 seminars covering journalism and fashion, cinema and fashion, PR and fashion etc. have been also included. 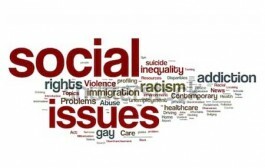 The main attraction this time will be the involvement of 300 press and media from all over the World who all have agreed to cover the event in different web sites and mediums. “We are feeling elevated since we have started Global Fashion Week in this part of the country, with the first one itself we have been rated as one of the best fashion events in the World. 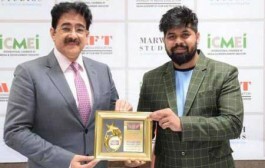 The beginning was with the presence of 34 beauty queens from 34 different countries of the World to open the fashion week.,” said Dr. Sandeep Marwah. “We have grown in 3 years and it is going to be an interesting and valuable event to the industry,” added Ritu Lal Festival Director.